Just 15 minutes to downtown Denver and an easy commute to the ski resorts of Colorado, this Golden home is the perfect place to call home. Your guests will be impressed as you greet them at your front door and lead them into your homeâs light and spacious, open and inviting, living area. Share gourmet bits and chilled drinks in your generous chef inspired kitchen, with quartz countertops and a six-burner stainless steel stove. The elegant lighting and wide-plank wood floors provide a wonderful backdrop to spend your weeknights at home relaxing by the fireplace. 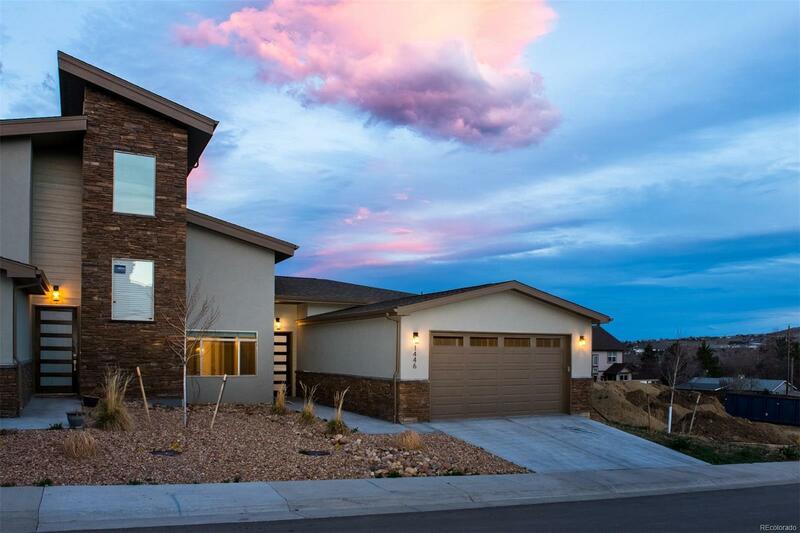 Because this is a low maintenance, lightly lived in, energy efficient paired home you will have plenty of time to spend playing in your private yard or exploring the town of Golden and all it offers, dining, shopping, hiking and golf. At the end of a long day, retire to your warm and inviting main floor master suite with a spa inspired bathroom as you drift off to sleep away from the bustle of city life.